• Sessions aboard Tall Ship JAMES CRAIG alongside at Wharf 7, ANMM. • and at SHF’s Rozelle Bay restoration & maintenance workshops. • SHF historic vessel harbour transfer from Darling Harbour to Rozelle Bay. 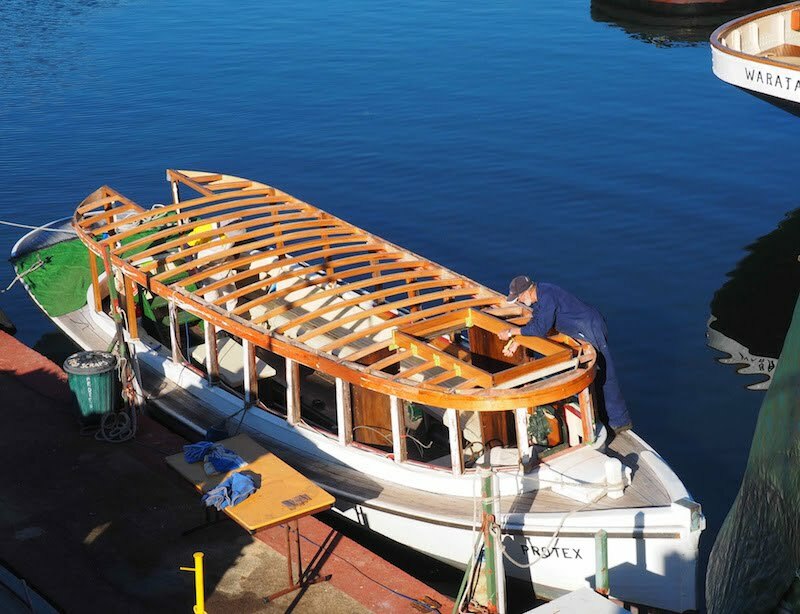 The workshop is an opportunity to discover and discuss the challenges and achievements involved with the restoration process of historic vessels of all types and sizes. • Delegate fee: $60pp – includes morning/afternoon teas and lunches. 09:00 Registration/morning session & morning tea, aboard James Craig. 12:00 Harbour cruise & lunch - Darling Harbour to SHF Workshops, Rozelle. 13:30 Workshop afternoon session at SHF Rozelle Workshops. 16:00 Transfer from Rozelle to Wharf 7, ANMM. 17:00 Australian Register of Historic Vessels (ARHV) Reception & Awards. 18:30 Workshop Dinner with Guest Speaker (optional). 09:30 Morning session with National Wrap & morning tea, Wharf 7. 12:15 AMMC Annual General Meeting.